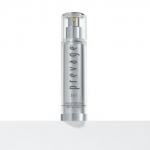 Years ago, when the original PREVAGE® was first introduced, I couldn’t wait to get my hands on a bottle to see if the buzz on Idebenone (a new antioxidant) was true. In my case, it was; I got great results. 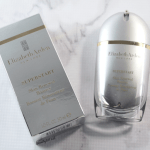 So I was curious when I was sent a bottle of new Elizabeth Arden PREVAGE® Face Advanced Anti-aging Serum — could they improve on the original? At first, the serum–which is really a cream–didn’t look any different. 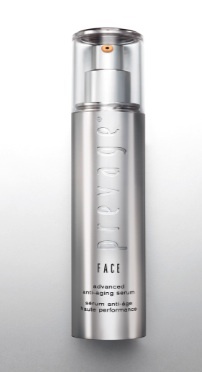 I applied PREVAGE® Face Advanced Anti-aging Serum morning and evening to a clean face. During the time I tested, I didn’t experience any redness or irritation from the product. I tested this product prior to going to Fashion Week and got loads of compliments on my skin…it was glowing (in a good way!). It appeared firmer, with more radiance and sun damage appeared lighter. 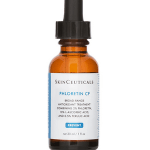 The formula has been improved with the inclusion of additional antioxidants, including a Green Tea blend, to neutralize free radicals, which protect the skin from environmental damage. The formula was also changed to provide a time-release reservoir of Idebenone within the skin, making it more gentle. Even those with sensitive skin can use this formula. I’ll be the first one to say that skincare isn’t one size fits all, but I can tell you, I have consistently gotten great results from the Prevage line. Elizabeth Arden PREVAGE® Face Advanced Anti-aging Serum retails at $155 and is available at Elizabeth Arden counters in department stores and online at ElizabethArden.com. 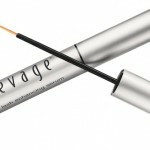 Enticing eyelashes with Elizabeth Arden PREVAGE Clinical Lash + Brow Enhancing Serum!